Mobile ad production, trafficking and optimization just became a whole lot simpler. The Adventive Team is proud to announce the addition of mobile display to our Platform, putting your ads in pockets everywhere (yes, even skinny jean pockets). Starting today, we’re giving our customers the tools to build static interstitial, wide and standard banners for mobile—including high-resolution templates for double density and Retina™ displays. It’s no secret—mobile presents a huge opportunity for brands, publishers and agencies. Still, marketers have yet to fully embrace the channel. We’re long past “the year of mobile,” and growth is only just beginning in the space. Mobile ad spend has more than quadrupled since 2009 and industry experts don’t see that slowing down anytime soon. According to Econsultancy, only 25% of brands have a mobile strategy. Publishers have been hesitant to push mobile, largely keeping pace with advertisers. So what’s the hold up? Up until now, it’s been difficult to properly and efficiently build, traffic and optimize mobile creative. 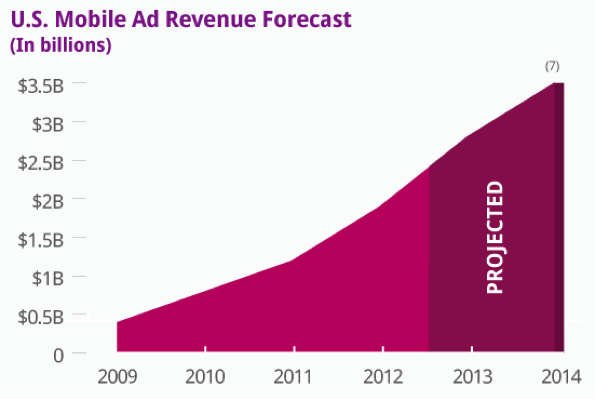 Just as we saw with desktop display, mobile ad technology hasn’t kept pace with the industry. Today, we’re changing all that. The same drag-and-drop Ad Builder technology, streamlined trafficking and tracking with Campaign Manager and Real-Time Analytics are now ready for mobile—at your fingertips so you can reach theirs. We’re pretty excited to bring all that you love about Adventive to mobile, and we hope you are too. Ready to harness the power of mobile? We’d be happy to walk you through a demo today.